Richmond’s residential real estate market has brought a New England startup to town to test its new home-buying app ahead of a planned national rollout. 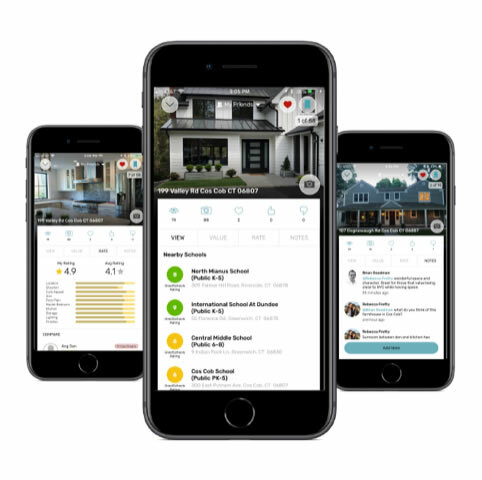 Taking a crowdsourcing approach, the app utilizes photos, price estimates, reviews and ratings generated and uploaded by users as they’re looking at homes on the market. Users can view other buyers’ reviews and photos, and can use the app to keep track of homes they’ve previously toured. Co-founder Tom Mangas, a UVA alum and former CEO of Starwood Hotels & Resorts Worldwide, described Dado as giving homebuyers a clearer picture of residential real estate traditionally presented from the seller’s point of view. Mangas co-founded Dado last year with Brian Goodman, an IBM vet who developed the app as principal engineer. The five-person startup, based in Connecticut, takes its name from the term for a rectangular groove cut into a board to adjoin it to a matching piece of wood. Mangas said Richmond and Pittsburgh were selected to bring Dado to market because of their strong millennial demographic and representation of the national home-buying market. “We wanted a market that was not too hot or too cold, and we wanted one that we could talk about as representative of the rest of the U.S.,” Mangas said, adding that testing in those cities would influence marketing when the app is rolled out nationally later this year. Mangas said results will be used to help attract investors, and he said the app’s success will depend largely on word-of-mouth as more homebuyers use the site and share it with friends and family. Dado launched in Richmond in June and is about two months into its six-month test period. The national rollout is scheduled to occur in the fourth quarter. Mangas would not say how much it has cost to develop and launch Dado. The former executive with Procter & Gamble and Armstrong World Industries is self-funding the venture. The son of a real estate broker, Mangas said the idea for the app came from his own experience trying to help a loved one buy a new home and sell the old one. “I had forgotten how horrible the process could be at times, how opaque information is, both on the homes – because I was getting simply one view of what the home was, which was what the seller wanted me to know, not necessarily what I needed to know – as well as all the providers in the system,” he said. Dado is currently free to all users but will make money through advertising and premium-content subscriptions once it builds a following and has regular usage, Mangas said. Ads would be sold for a fee via the app to real estate service providers such as agents, inspectors and mortgage providers, and Mangas said some subscriptions may be offered to agents for additional functionality. Dado adds to other online real estate services that have entered the Richmond market in recent years. Online brokerage eXp Realty planted its flag locally in late 2016, and Seattle-based brokerage Redfin entered the market two years earlier.